Swedish visualization company Interspectral has once again been selected by Dutch National Museum of Antiquities (Rijksmuseum van Oudheden) as a visualization partner for a major exhibition project. 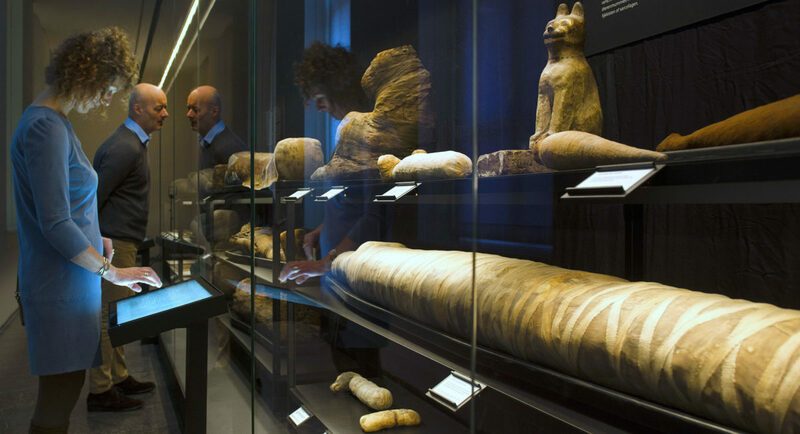 Interspectral will together with the museum produce complete interactive exhibits featuring several 3D scanned mummies. The interactives will be featured in major travelling exhibition on ancient Egypt that will tour 2020-2022. Interspectral have worked with Dutch National Museum of Antiquities since 2016 and have been providing solutions for both permanent and travelling exhibitions.